Join Dennie and the band as they invade Ireland with Hollerwood music. Breathtaking sites from HBO's Game Of Thrones. Free time to explore and make your own discoveries of shops, fun-filled pubs and historic places. Day 0 Fly out of Columbus. Overnight flight, dinner and breakfast provided on the plane. Day 1 July 17 - Early morning arrival in Shannon Airport. Meet driver/guide at airport for transportation in a luxury touring coach. After a quick tour of Shannon area, we head to the coast and the spectacular Cliffs of Moher. The cliffs rise 120 meters (390 ft) above the Atlantic Ocean and reach their maximum height of 214 meters (702 ft) just north of O'Brien's Tower, 8 km away. In front of you are the Gaelic-speaking Aran Islands. Keep your eyes open for an array of wildlife at the cliffs, everything from fulmars, guillemots and kittiwakes to the cheeky puffins. Lunch is on your own at the visitor center. (An option here would be to do the ferry too) After lunch, you will make a 30 minute stop at one of Ireland's greatest National Parks,the Burren, a botanist's paradise and alien looking landscape! Plants that would normally only grow in tundra or arctic regions flourish in this area at certain times of the year. Orchids and blue gentians grow wild and are stunningly beautiful. We continue on for a city tour of Galway, voted one of the friendliest cities in the world and home to the FringeFest during the entire month of July. We will check into our hotel near the city centre which will also be within walking distance of festival activities. We will gather for a group welcome dinner (included). 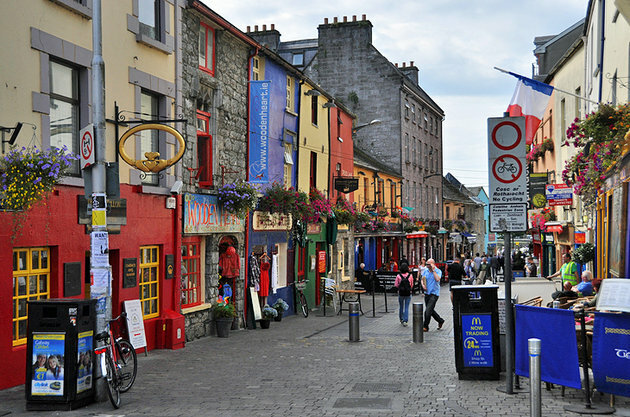 Day 2 Free day in Galway, FringeFest or optional trip to Ulster American Folk Park. Day 3 - Travel along the coast to Donegal. Stops include Giant's Causeway, Bushmill's Distillery, Carrick-a-rede rope bridge, Duneluce Castle, Dark Hedges, and many sites from HBO's Game of Thrones. Lunch on your own. We will arrive in Donegal during Earagail Arts Festival. We will have a city tour then check in to our hotel. Day 5 - Leave Donegal and head toward Belfast and Bangor. 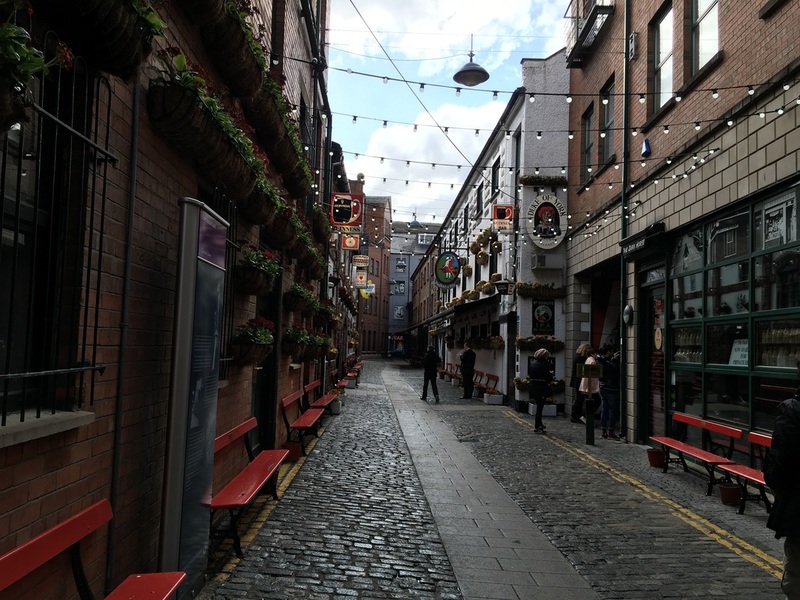 We will explore Belfast on a city tour with a stop at the famous Titanic Museum and the Murals. We will have a lunch stop either near the Crown Bar/Europa Hotel or in the bustling University District. Day 6 - Free day in Bangor for the festival. Group farewell dinner in the evening. Day 7 - Fly home from Belfast.